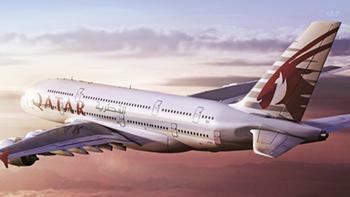 Qatar Airways is being fined $185,000 for operating flights in restricted regions. The Federal Aviation Administration (FAA) said the airline was carrying the American Airlines code when it flew into the restricted region, which wasn't identified. The Department had earlier approved a blanket statement of authorization permitting Qatar Airways to carry the American Airlines code (AA) in conjunction with Qatar Airways’ foreign air transportation, on the condition that it comply with all FAA flight prohibitions. The Qatar flights into restricted regions occurred in late 2014 and early 2015, DOT said. Meanwhile, some new flight restrictions have gone into effect closer to home. The FAA issued a notice Monday that flights over New York City will be restricted until President-Elect Trump is inaugurated. The incoming 45th president is still living in Trump Tower and the Secret Service asked that flights over midtown Manhattan be banned until Trump officially decamps for Washington and takes up residence in the White House.